Deadpool 27 is cool because it is both the issue where Deadpool gets married, and is a Guiness Record holder for having the most characters on its cover. Plus its a Deadpool comic! This comic is such a bizarre novelty that I can't help but love it. Yes it really is the best #27 comic in all of comics. 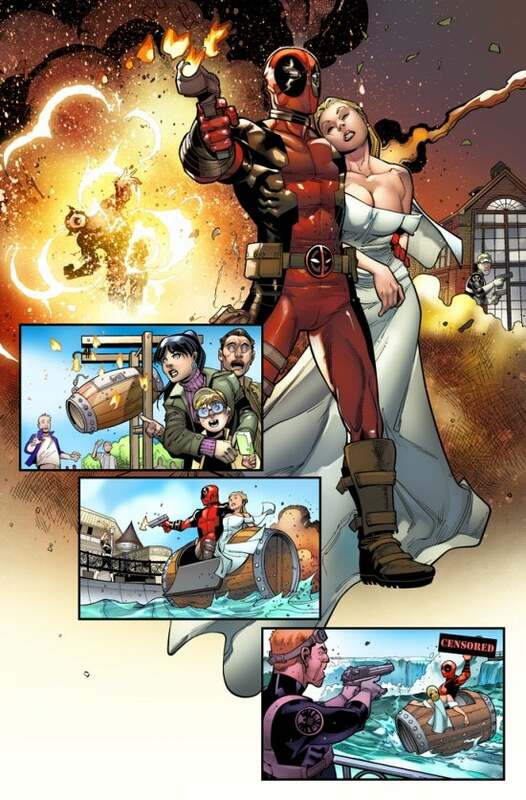 • That’s right—the day you never dreamed would come has finally arrived… Deadpool is getting MARRIED! In this famous issue Peter Parker aka Spider-Man marries his longtime sweet heart Mary Jane. Lets ignore the fact that their marriage was written away in the Brand New Day story and just enjoy this issue for two longtime lovers tying the knot. This is a great romantic comic. Its Punisher there is action, blood, gutts but also a little Romance. 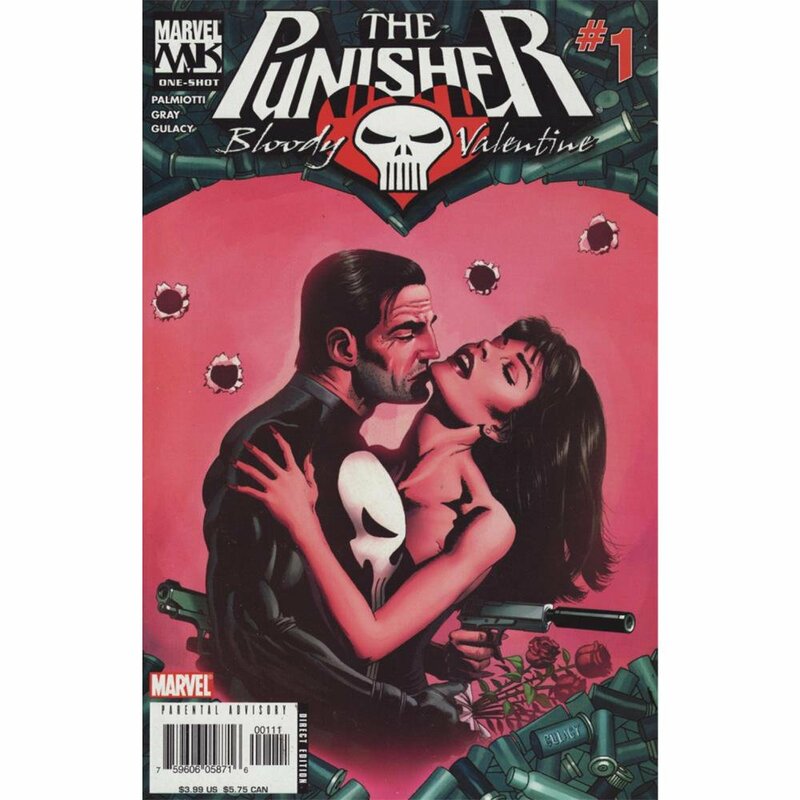 Its basically what you would want from a Punisher Valentines day comic. This is a great story by Palmiotti. This is also a one shot published in 2006 is perfect for a gift. DEADLY ONE-SHOT Don’t look now, something just sparked the little black pit in Frank Castle’s chest -- the one that used to be a heart ! The last time the Punisher saw the lovely and lethal assassin Suspiria, he was dropping her headfirst off a skyscraper. Now she’s back and it appears that she wants to kiss and make up. You see, the murderous pair have got a mutual enemy -- an arch-villain whose pursuit will take them to Suspiria’s home turf of Rome. Can Frank withstand his partner’s charms? Does he want to? Harley Quinn Valentines Day Special! Amanda Conner and Palmiotti hit home run after home run with Harley Quinn this Harley Quinn Valentines Day Special is no exception. Why do I have 2 Valentines day books by Palmiotti here well I guess I like his writing and he also handles romance in a fun and meaningful way.